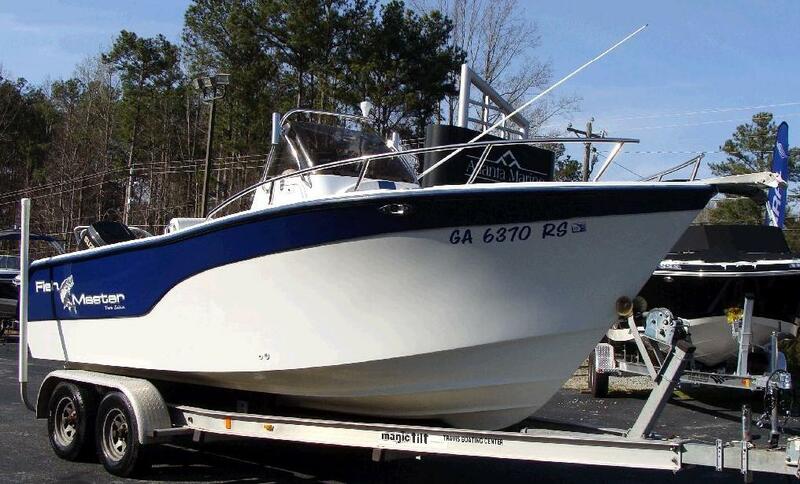 2004 Fishmaster 1900 CC The Fishmaster 1900 was designed for offshore fishing experiences. With a shallow draft, you can chase fish in the flats that others can't get to, while the high freeboard fore and aft keeps you drier, even in deeper chop. 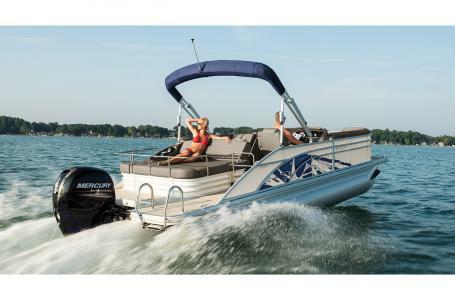 Features such as a leaning post with cooler, removable bow & stern fish seats, forward console seat, and a MinnKota 24 trolling motor make this 19 foot center console hard to beat. 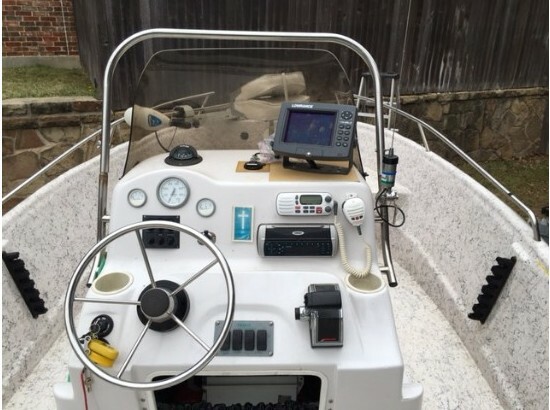 Rear jump seats, elevated console,stainless grab rail and guide rails, transom saver, depth finder, GPS,not to mention plenty of storage can also be found onboard. 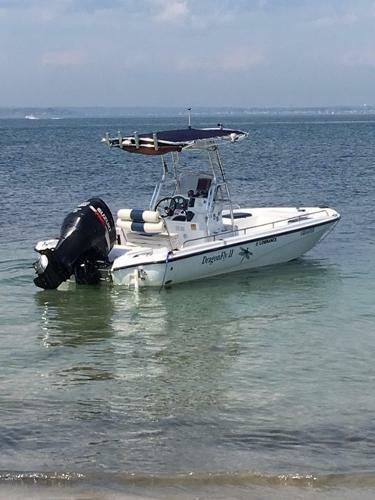 The 2001 Mercury Saltwater Series 125 HP (rebuilt)Outboard and a 3 Blade Stainless Steel Prop will make the fun last all day. Now at Watercraftplus LLC, we offer DOOR TO DOOR SERVICE!! All you have to do is pick the boat you want from the comfort of your own house (or office) and we will handle the rest; with our online credit applications AND EASY FINANCING PROGRAMS we can have you in the water faster than it takes you to pick out your boat!! 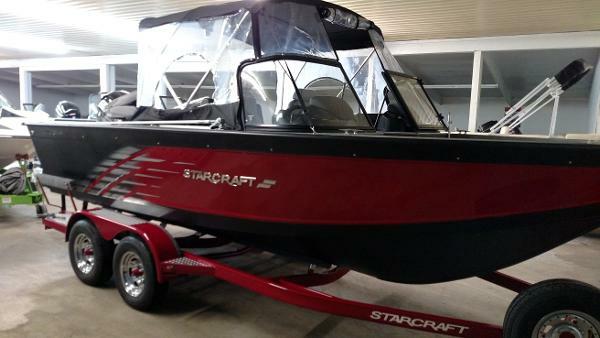 Point, click, and have your new dream boat in your driveway before you know it!! 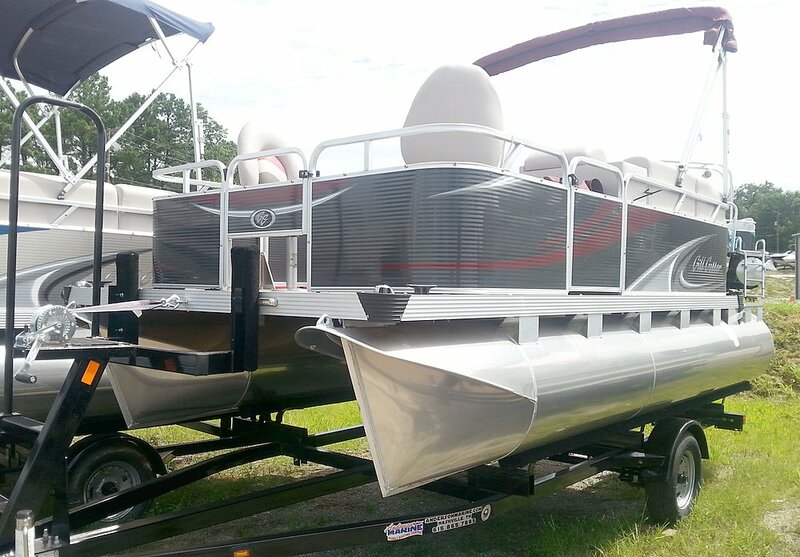 Let us earn your business today and you will be a part of the Watercraft Plus LLC family for life!! BOAT SHOW PRICES EVERYDAY here are Watercraftplus LLC!!! 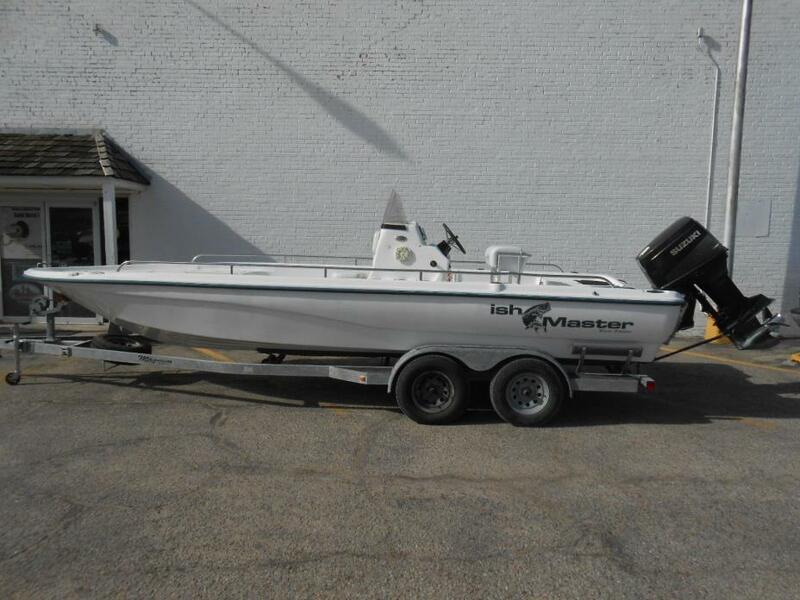 2002 Fishmaster Great condition. Recent service on engine with approximately 55 hours. 140 hp Suzuki, power pole, riptide, trolling motor, live well, Lowrance HDS 7 touchscreen, T-top with storage, new batteries. 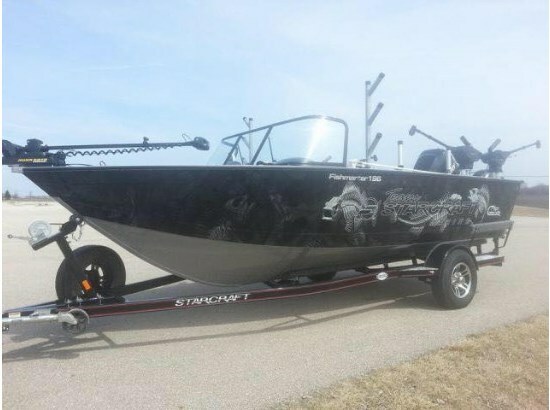 Great stable ride for fishing or cruising. Magic Tilt trailer barely used with new bunkers. 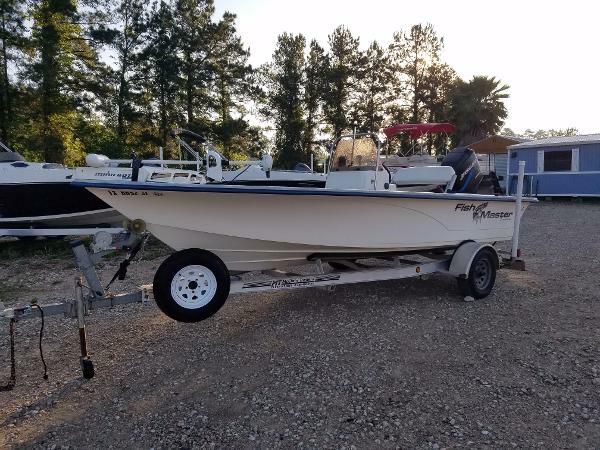 2004 KENNER MFG CO Fishmaster 2004 KENNER Fishmaster 24 OFFERING FULL FINANCING, COAST TO COAST DELIVERY WITH EXTENDED WARRENTY & INSURANCE AVAILABLE $17,499.00/OBO 2004 24 Kenner Center console fishing boat w/Trailer Center console walk around Fishmaster Boat was used as a Striper guide boat in Georgia Custom extended Stainless steel T-Top/Blue Canvas 2005 Dual axel trailer w/brakes and 4 new tires great condition. Included in price!! 250 HP Suzuki 4 Stroke outboard; high hours, runs well, 1 weak cylinder. Minn Kota Terrova Trolling Motor with pilot ($1,500 value Included in Price! Fishing chair Gunnel rod holders Stainless steel railing allows for additional rod holders Large under deck pole locker 2 Aerated bait tank/live wells Large fish ice hold Anchors with 10 chain and 80 line Cooler under helms seat Double bench helm seat Helm seat with reversible back rest, for stern facing New sump pump, new wash down pump, recent replacement of steering cylinder seals 3 Batteries Ladder Mounted Spotlight Lowrance GPS w/fish finder Full snap on canvases for inclement weather Storage under all benches w/ 8 person seating Fishing equipment gear available Rods, nets, scales, planners, etc. Included in price!! Normal 0 false false false EN-US X-NONE X-NONE MicrosoftInternetExplorer4 Selling my 19 foot Starcraft Fishmaster Boat has been totally done over with; New exterior paint, seat cushions, running lights, helm and shifter New trailer axel, bearings and running lights Newer battery, fish finder, bilge pumps Motor has new water pump, thermostat and gears in lower end. A great fishing boat. 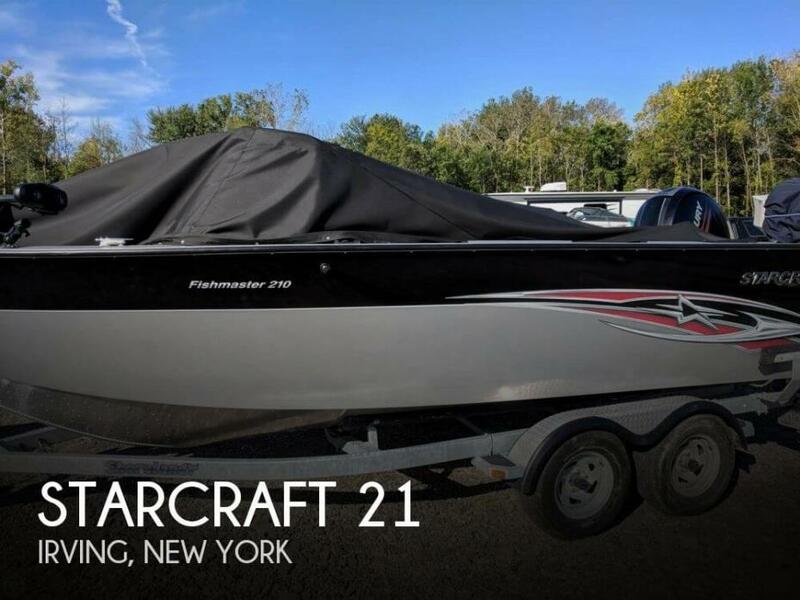 Seller advises the boat is ready to go, with no known issues. She's stored inside during the offseason. Freshwater only usage. The boat overall is in excellent shape. There is one cosmetic scratch on the port side, which is pictured. A small stain on the helm seat which will likely clean up. Stock #144561 *** READY TO FISH *** FRESHWATER USE *** LOW HOURS *** Electronics pictured are not included! 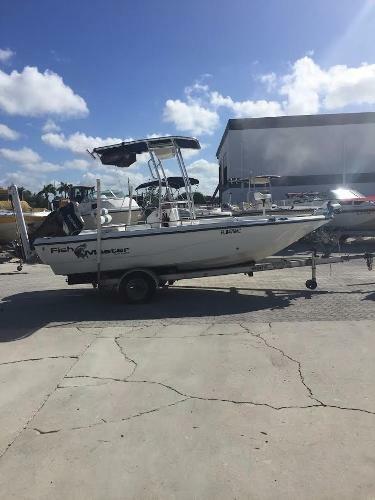 *** If you are in the market for an aluminum fish boat, look no further than this 2015 Starcraft Fishmaster 210, priced right at $56,000 (offers encouraged). 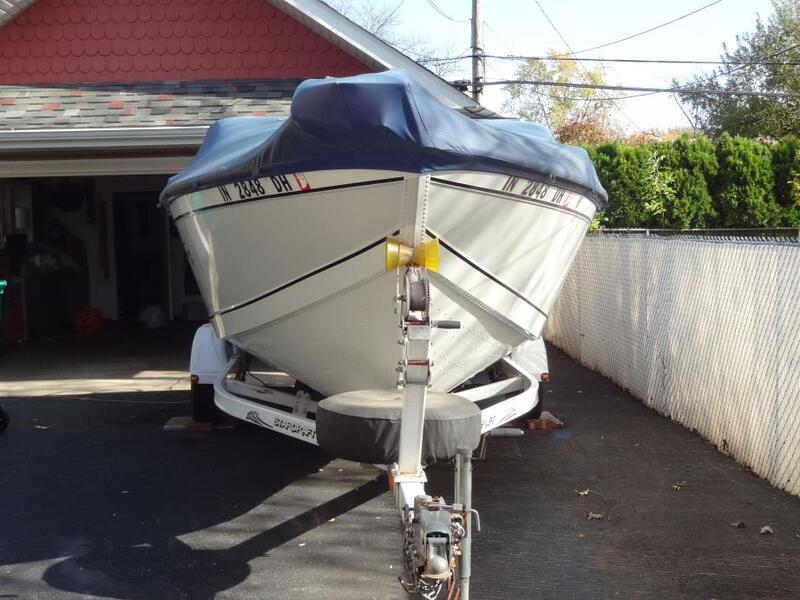 This boat is located in Irving, New York and is in great condition. She is also equipped with a Mercury engine that has only 100 hours. Reason for selling is buying new 2019. 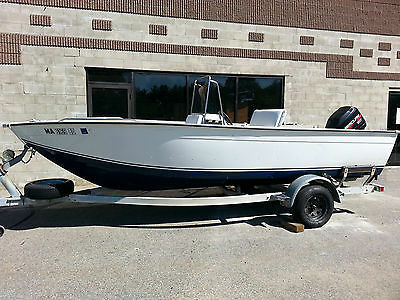 2005 Kenner 2450 Fishmaster, 2005 Kenner Tracker 2450 Fishmaster equipped with Suzuki 225 hp EFI outboard motor. 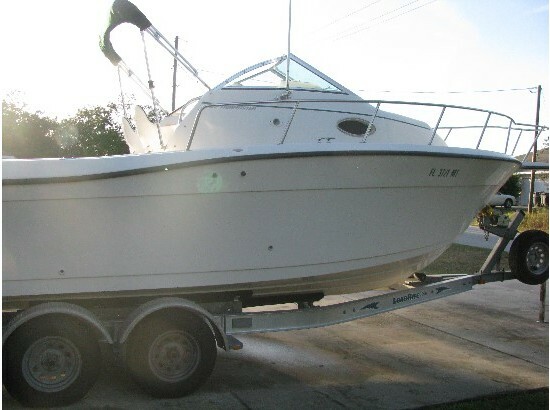 Boat includes heavy duty cover, 2 livewells, left right and in floor rod storage with verticals on the console and captains seat, leaning post with storage box and rod holders, Sea Star hydraulic steering, Z-lock jack plate, Lowrance Hook 5 HDI/GPS fish locator, Radio with USB and AUX inputs, Wetsounds speakers and tandem axle galvanized trailer with brakes. 8 person capacity. Please call before coming to view as our inventory changes location frequently.